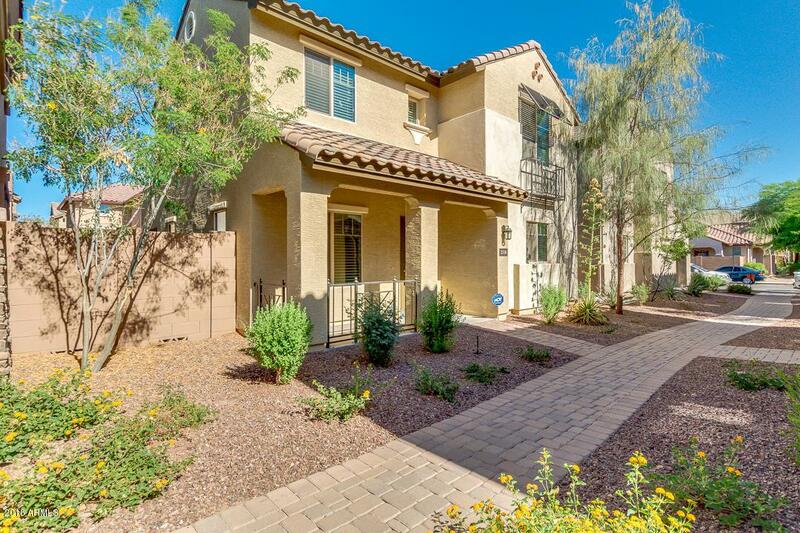 Come see this pristine 3 bedroom, 2.5 bath home in the highly sought after Cove at Vincenz in Gilbert today! This gorgeous home includes 18'' tile throughout the bottom floor. Eat-in gourmet kitchen boasts upgraded quartz counter tops and staggered cabinets with crown moulding and brushed nickel hardware. Kitchen also includes beautiful stainless steel appliances and a reverse osmosis system! 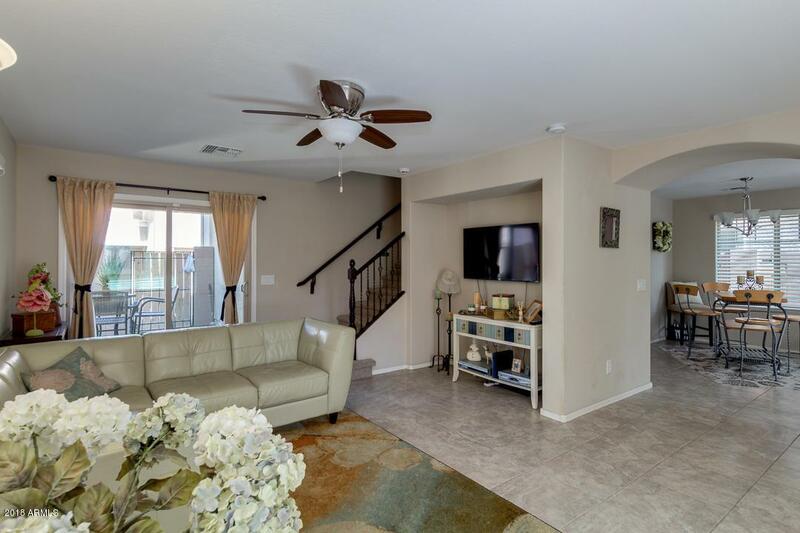 Kitchen opens up to a spacious great room downstairs with ceiling fan and low-maintenance patio with upgraded artificial turf to enjoy our AZ weather! Escape to your generous master bedroom with large walk-in closet. Master bath includes stand-up shower with sliding glass enclosure and double vanity. Two additional bedrooms upstairs, all outfitted with ceiling fans. Upstairs guest bathroom and laundryroom with provided Washer and Dryer so no need to haul clothes up and down! 2 car garage provides ample room for your cars and additional storage space. Owner just outfitted the home with LED lighting throughout the entire house and installed a brand new water heater and garbage disposal! Steps away from the resort style heated pool and spa as well as playgrounds, green space, and walking paths. 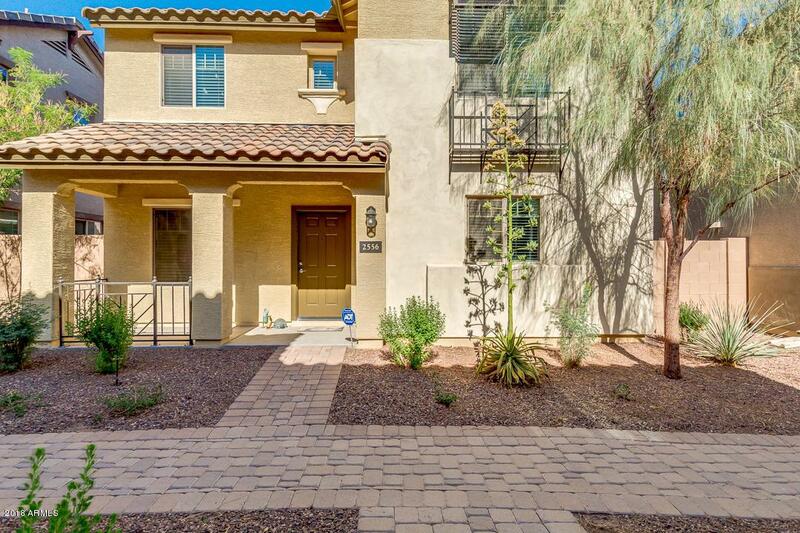 Easy access to Loop 202 and SanTan Village Mall just across the way! Come and see it before it's gone!